If you’re getting ready to pack to head to the Wizarding World of Harry Potter at Universal Studios for the first time then let me be the first to say HELL YEAH! If you’re a Potter fan (which you probably totally are if you’ve stumbled upon this website) then you’re going to absolutely be in awe. From binging on butterbeer to seeing Hogwarts for the first time, your heart and spirit will be completely swooning your entire trip to the Wizarding World of Harry Potter! And there’s nothing quite like walking around the brick wall to see Diagon Alley for the first time (bring some tissues). But before you can experience the magic that is the Wizarding World of Harry Potter at Universal Studios Orlando, you have to do the most daunting task of every trip…. packing. I’m a full-time traveler and I still loathe packing. If you’re anything like me, you’re probably reading this the day of or night before your travel. But don’t worry, I have you covered. I’ve been to Universal Studios Orlando a few times (okay, I might be closing in on 10) and I’ve got my packing down for the trip. Let me walk you through a few essentials that you might want to consider packing for your trip! The parks allow you to carry items in and you’ll want a bag to pack your park essentials and snacks in each day. Grab a Harry Potter bag to show off your geekiness! Water at the park is pricey ($4-5) so it’s advantageous to bring in your own water bottle. You’ll find fill-up stations around the park and, if you’re kind enough, a TM at a lesser busy food/drink stand will fill you up. Florida is super sunny! Be sure to take some sunscreen with you because nothing ruins a vacation faster than a horrible sunburn, especially when you’re riding park rides. Depending on the time of the year, rain is a huge factor to consider on your Universal Studios trip. I went the first week of September and it rained on us every day. Instead of having to waste time hiding out, grab a poncho and maximize your time at the parks! They’re also great to have on water rides. You might consider waiting to get this until you get to the parks, as Ollivander’s does continuous shows all day and you could get picked to have your wand choose you! But, if you want to avoid the sometimes hellacious lines at Ollivander’s and get straight to magic casting, you can grab a wand online before heading to Universal Studios. School robes and cosplay are such a fun way to show your love for Harry Potter at the parks and meet fellow Potterheads to geek out with! Build your own cosplay or snag a school robe online. You can find school robes for sale at the park as well. Battery power goes quickly at the park. Between all of the pictures and videos you’ll undoubtedly be taking, you’ll definitely want to make sure you have a backup battery on you. Snacks and meals in the park can get pretty pricey. Personally, I like to save my money for things like butterbeer and pumpkin juice that you can’t have anywhere other than Universal Studios. Pack up some snack bars, sandwiches, trail mixes, etc and you’re set for the day! This might just be me being a germaphobe, but you’ll be touching a lot of things that other people have touched and it’s just a good idea to carry around some hand sanitizer to stay clean and germ free! You’ll be doing a lot of walking around Universal Studios. Be sure to pack some comfy shoes to wear; sore feet really make for long days. Your shoes are another way to show off some awesome Potter flair! Cards are accepted at every stand and stop in Universal, but be sure to bring some cash on you for a fun thing in Diagon Alley! There you’ll find a Gringotts Bank outlet near the Gringotts ride where you can exchange your cash for Wizarding Money. You can even use their currency to spend around the park! What are some of your packing essentials for Universal Studios and the Wizarding World of Harry Potter? Comment them below and let me know if I forgot anything! Also, be sure to drop your email below for Simply Potter’s weekly owl post. 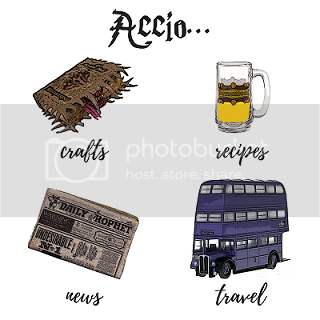 There you’ll find exclusive information about giveaways, Wizarding World news, and Simply Potter happenings across all platforms! Next article(SPOILER ALERT) Nagini the Maledictus . . . Wait What?